Cocoa Beach Condos and Townhomes for sale, Disney World, Cocoa Beach Real Estate, Brevard Listings, Cocoa Beach Florida Real Estate, Cape Canaveral Florida Real Estate, Cocoa Beach Property for sale, Beachfront Condos for sale, Cocoa Beach Condos, East Coast Real Estate, East Coast Property, Florida Condos for sale, Buying Condos in Brevard County, Condos for sale in Florida, Oceanfront Condos In Cocoa Beach, Florida Real Estate, Space Coast, Coco Beach Florida Real Estate, Condominium Sales In Brevard County, Condo Sales, Waterfront condos For Sale, Cape Canaveral, Cape Canaveral Property, Cape Canaveral Condo Search, Cocoa Beach, Direct Water, Ocean Club Condos, Cocoa Beach Realtor, Melbourne, Melbourne condos For Sale, florida relocation specialist, pool homes, golf course view, ocean view, Palm Bay, ocean property, florida property, titusville condos for sale, condo residence in cocoa beach florida Condos and Townhomes for Sale. Brevard County Florida is a prime location for Ocean Front and waterfront Property with amazing views and close to Disney World. Stroll the Beach with us today. Just six miles long, and mostly less than one mile wide, Cocoa Beach is a unique place! You choose between watching a space launch from the beach or precious animal species in their natural habitat. You can choose between a swim in the ocean, or a quiet kayak exploration off the Banana River islands. Play a round of golf at our 27-holes golf course, surf cast from the beach for dinner, or just enjoy a day at the beach where you will likely see dolphins at play or be lucky enough to see an occasional whale in migration. Widely known as the surfing capital of the East Coast, Cocoa Beach is the hometown of surfing champions. 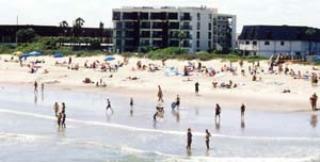 Cocoa Beach is a residential community and a tourist destination. In addition, Cocoa Beach is the destination for another 2.4 million day visitors per year; it is the primary tourist destination on the Florida Space Coast. It is also home to an active retiree population, many of whom devoted their careers to our nation's space program. 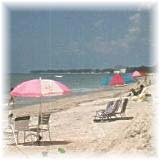 The casual beach lifestyle of Cocoa Beach is enjoyed by visitors and residents of homes and condos alike. You are welcome to join us in Cocoa Beach Florida for fun in the sun. Cocoa Beach Condos and Townhomes are for sale at bargain prices. The primary attraction to Cocoa Beach is the weather. With its coastal location and positioned where two climatic zones (sub-tropic and temperate) meet, our weather usually avoids extremes. This unique location attracts wildlife indigenous to both climatic zones, as well as coastal and migratory species. And, of course, our weather, beaches and local amenities attract human visitors as well! 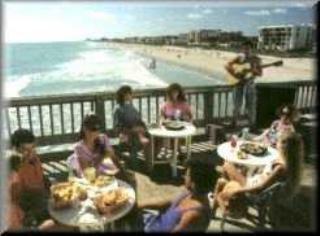 Many of our residents first experienced Cocoa Beach as visitors and eventually relocated here! Nick Anagnos is a buyer agent specializing in oceanfront property sales and especially sale's of oceanfront investment property. 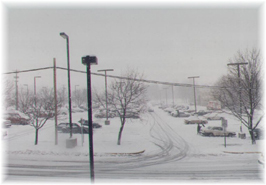 ... Nick Anagnos/Real Estate Investment Specialist. Copyright 2006-2008 Multiple Listing Service of South Brevard, Inc. and Space Coast Association of REALTORS, Inc. All rights reserved The data relating to real estate for sale on this web site comes in part from the Broker ReciprocityTM Program of Brevard County, Florida. Real estate listings held by brokerage firms other than Realty International Group are marked with the Broker ReciprocityTM logo or the Broker ReciprocityTM thumbnail logo (a little black house) and detailed information about them includes the name of the listing brokers. Data is updated daily when available.